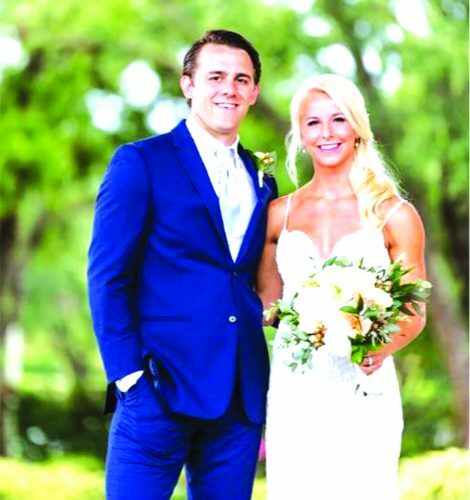 On July 9, 2016, Lauren Larson and Justin Giles married in front of 130 of their closest friends and family at Peak ‘n Peak after dating for one month short of 12 years. The bride wore an ivory, backless, mermaid-style lace gown with a chapel length train, cathedral length veil and carried a white bouquet. The groom selected a charcoal suit with a white vest. 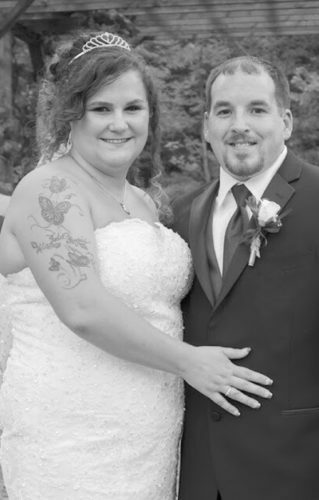 The bride is a graduate of Panama Central School (’08) and SUNY Fredonia’s biology department (’12, ’14.) She is the daughter of Steve and Mindy Larson of Lakewood and granddaughter of Bill and Marcie Larson of Stedman and Dan and Beverly Larson of Ashville. Standing up beside her, wearing navy blue and carrying blush pink bouquets were lifelong friends: maid of honor Erin Abbate and bridesmaid Samantha (Eimers) Bailey, as well as her college softball teammates; bridesmaids Jennifer Tighe, Michelle Lattner, Allison Ghyzel and Anne Wasik. The groom is a graduate of Chautauqua Lake Central School (’06) and SUNY Fredonia’s business department (’10.) He is the son of Chip and Cathy Giles of Mayville. Standing up for the groom in charcoal suits were lifelong friends: best man Michael Evans, groomsmen Mark Harris, Dan Thomas, Robert Bajdas, Travis Nowicki and his brother; groomsman Glenn Giles. Tyler Richardson (Air Force) was intending to stand for the groom before being deployed to serve our country. The flower girls, wearing blush pink dresses and carrying ivory pomanders, were 3-year-old cousin Layla Brewer and 6-year-old niece Aubrey Giles. 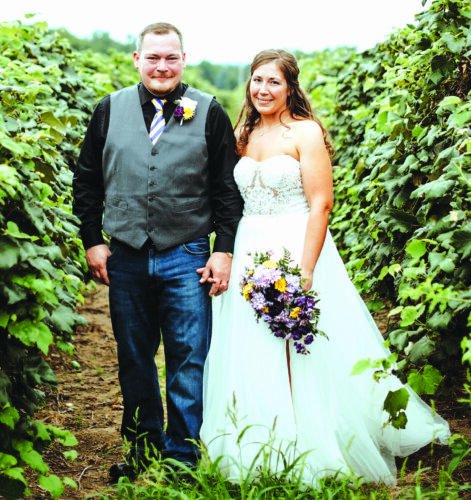 The ceremony was officiated by Pastor Ivy Gauvin of St. Timothy and St. Mark Lutheran Churches of Bemus Point and Mayville. 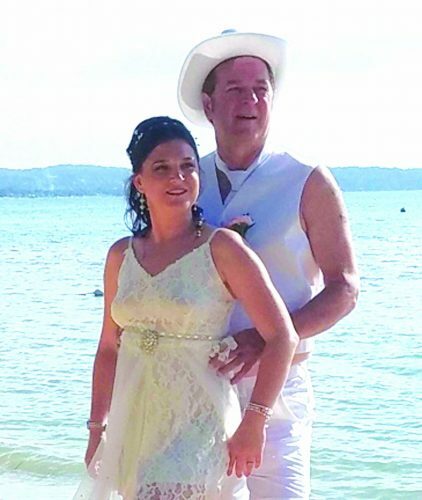 The new Mr. and Mrs. honeymooned for a week in Antigua before returning to their home in Fredonia, their pets, and their jobs as internet sales manager and microbiologist, respectively. They are enjoying spending their married life playing fantasy football, watching “Walking Dead” and lifting all the weights.